Aerial shot of Maroondah Dam.I really liked the contrast between the lush foliage and the mirror like surface of the water. 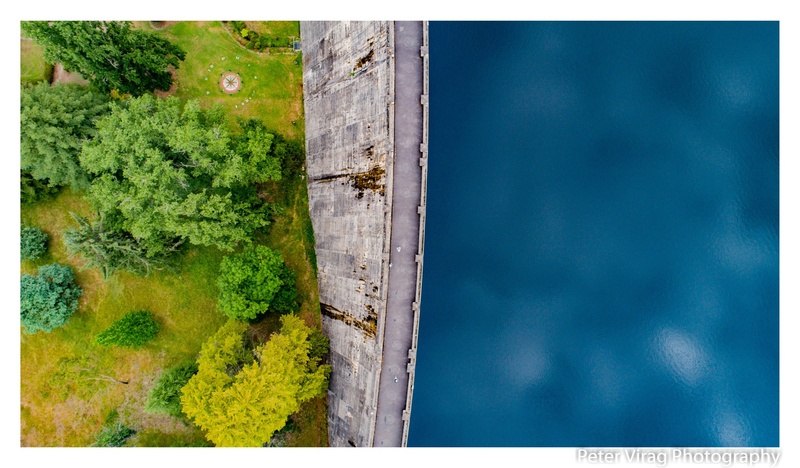 The Maroondah Dam is a rock foundation concrete gravity dam with an uncontrolled rock chute spillway across the Watts River, located in the Central region of Victoria. Its principal purpose is to supply potable water for greater Melbourne. I've shot the Watts River at Narbethong. Nothing worth speaking of though.